Brawl Ball is a very interesting game mode in Brawl Stars. 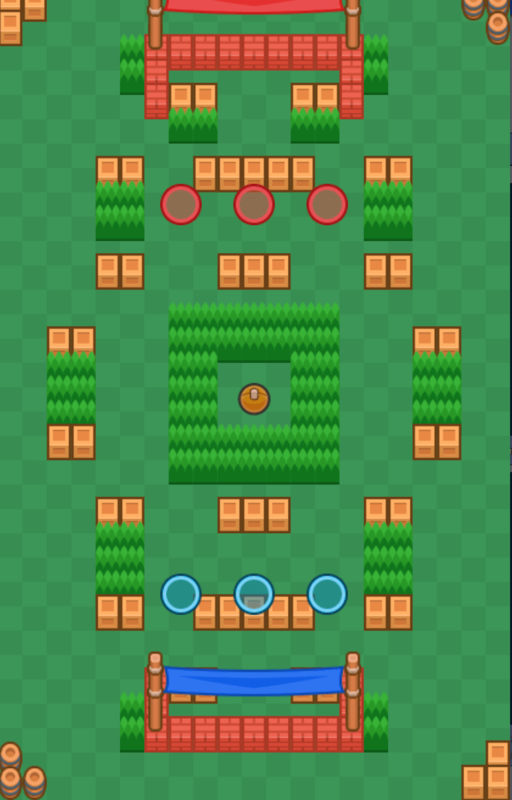 There are 2 teams in a Brawl Ball match and each team has three players. 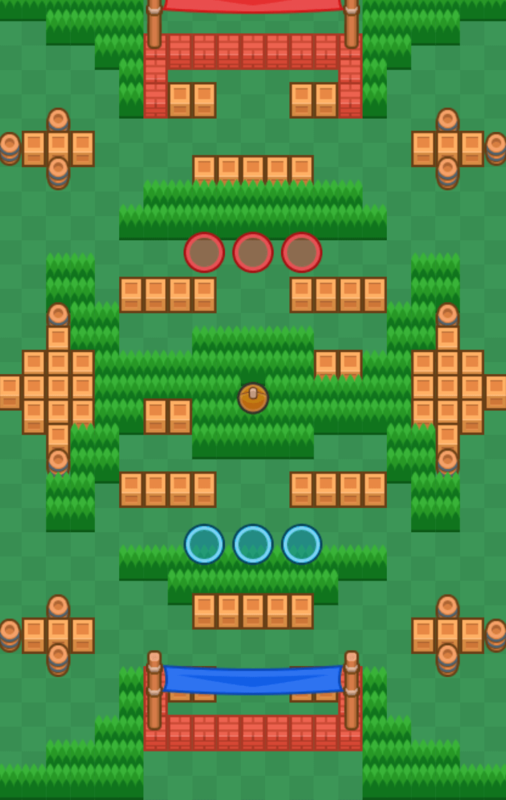 The objective in Brawl Ball is to take the ball (located at the middle of the map) to the opponent’s goal. The first team that scores 2 goals first wins the game. 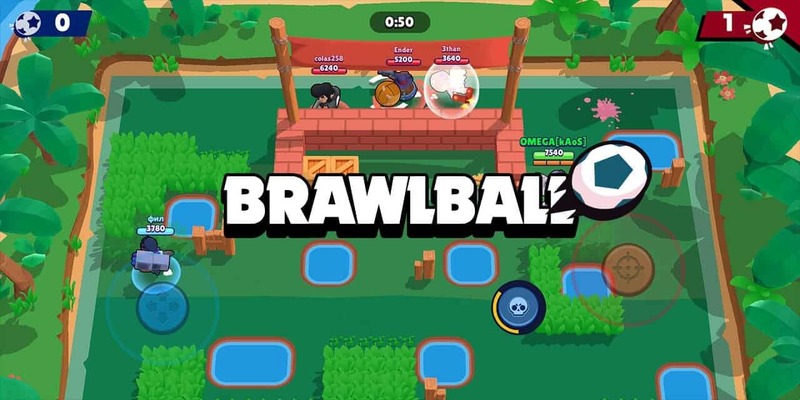 In this article, let’s discuss about the the basic gameplay of the Brawl Ball as well as the best strategies and brawlers to use in this event! In this game mode, your team starts lined up near the middle of the stage, in front of the goal. Opposite of you is the opposing team and the ball is placed in the very center. When you die, you respawn at the goal or the end of the map. Once a goal is scored, all players respawn back at the middle for another round. In order to win, you must kick or carry the ball into the enemy team’s goal twice. There is a time limit of 2 minutes and 30 seconds. If the time runs out, the side that has more goal (1-0). If it is a tie (0-0, 1-1) then the game goes into overtime. In overtime, all barriers and grass are instantly destroyed, so it is a completely open map. The only goal during the overtime wins the game! Overtime lasts for 1 minute. In order to obtain the ball, you must walk directly over it – just going next to it won’t work. While holding the ball, you cannot do any attack. All brawlers have the same range while holding the ball. Upon shooting, the ball will be kicked forward about Jessie’s attack range. Using your super with the ball makes it travel farther and faster. 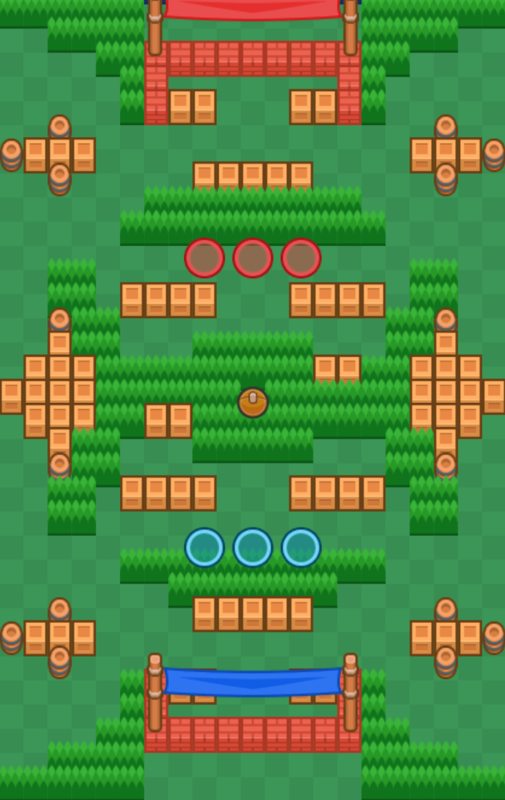 Passing, like in all sports, is the most essential part of the Brawl Ball game mode. You alone cannot advance and score because you cannot defend yourself while holding the ball. Health – It is vital that they have full health. Tanks are also usually better carriers. Super – Using your super kicks the ball much farther, which is a great way to score. 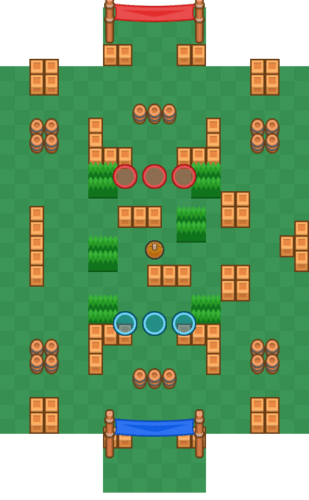 Non-Wall-Breaking Super – If two players have their super, pass to the one with a super that can’t break barriers (like Barley or Spike). Brawlers that can (like El Primo or Brock) should be used to clear the way. Speed – This one is obvious. Leon, Mortis and Crow are the fastest brawlers out there. Passing back and forth to confuse the enemy is also a good strategy, but make sure not to pass it near the enemy. If the ball touches them, they will assume possession of it. Note: If a teammate spins, it means pass the ball. Yes, sometimes you need to pass the ball right to the other team. If you have the ball and have no support, or even sometimes with support, and an enemy brawler comes to you, you can pass the ball right to them. Especially if you have an AoE super. They can’t defend themselves while having the ball, and you can rain hell on them then get the ball right back. Of course, this is risky, and does not work in every situation. Logic must be applied here. For example, only do it to a tank if you are a tank yourself. If a splash brawler is coming your way, only do it if you are a sniper. Any support you have applies too. This is a huge help throughout the game! If a barrier is broken at the beginning, it will remain broken even after a goal is scored and everyone respawns. 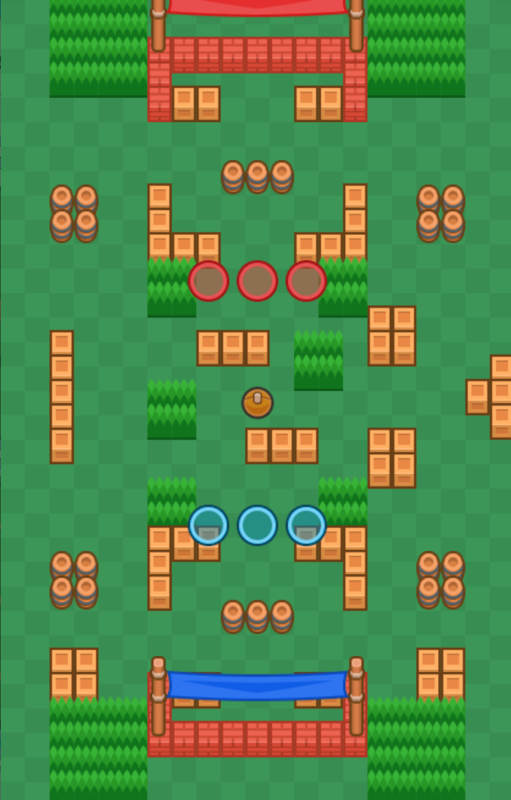 Especially in the first map released, Backyard Bowl, where a long fence covers nearly the map’s entire width is right in front of the goal, this is essential. Generally you want to use a brawler like El Primo or Piper to break it, because their super doesn’t help too much elsewhere. If people are hiding behind a wall, then definitely use brawlers like Shelly, Dynamike and Brock to break it while dealing some damage too. If your teammate has a ball and is going for a goal, clear any obstacles if you can. NEVER break a barrier on your side – even if you are trying to take someone out. Just wait until they walk around it. Barriers are huge advantages. They help you corner someone, drive them into a position in which they don’t want to be, or set up a solid fortification. And try not to give the enemy a reason to break it, like constantly camping behind it. Minions refer to Jessie’s turret Scrappy, Nita’s Big Baby Bear, and Pam’s Healing Station etc. They are all huge helps in this game mode, and you usually want at least one of these characters or Poco on your team (more on that later). Usually you want to place these guys near the middle or back. For the bear, behind walls, and for the turret, in front of them in an open area. Both are really, really good at stopping lone brawlers with the ball. Don’t ever place them near the front, or to help you score a goal. Once the goal is scored, all minions die and it’s a waste. Putting them near multiple enemies is also a bad idea because the die pretty quickly and don’t deal enough damage. When you respawn, the ball is right before you and the enemy and more often than not everyone rushes towards it. If you are a character with an AoE super (especially Barley) try to save it until next round where you can use it right on the ball in the start. Even just killing 1 person and/or damaging others is worth it. Sometimes you can kill all 3 if multiple people use their supers, and in that case you’ll pretty much get the goal right away. On the same note, make sure that one of your teammates (or you, depending on your character) backs up a little at the start, in case the enemy team passes it forward or all your teammates die in the middle. Best brawlers for this are Bo, Piper, Pam, or Ricochet. Although some might argue it is unethical, I say it’s a game you idiot no one gives a crap. If you are in the lead and there are 30 seconds left, regroup with your team. Not too close to the back though, cause someone might kick the ball in with their super. And not too close together, because of AoE attacks. A great way to stall is to push the ball in the corner next to your goal and have two people guard it while the other distracts them up front. As long as the other team can’t get the ball, they can’t win. But make sure none of your team actually is in possession of the ball – then they can’t defend. Falling back is also sometimes necessary, even if you are losing. Never try to go up and make a goal by yourself if there are enemies up there. Wait for your team. Once on comes, pass it back and forth a little. No one likes ball hogs, and no one likes heros. Brawl Ball has always been the most interesting mode for me. You either win by the 1:55 mark 2-0, lose 0-2 by 2:00, or it runs down to a draw and you win the draw by a last second save. It feels like there’s no in-between. Occasionally, when matches can be intense and come down to last second 2-1 victories, those are the best in my opinion. It makes every move count. My personal favorite Brawlers to play on Brawl Ball are Tara, El Primo, and Frank. If I had Spike, I would play him too. I will briefly discuss Darryl as well. Take Twisted Fate’s Q and Orianna’s R and you get Tara. Tara’s goal is to focus on setting up plays. She’s also a Skirmisher/Assassin. Avoid direct aggro at the start of the match. This will keep her protected. You could make an exception if you’re under heavy flak. If you must, throw out a poke or two. Instead, pull back and let the enemy waste their ammo or just watch their movements first. If the outer two brawlers diverge outward, and the middle one drops back or forward, you can take out an isolate brawler. After the first goal is scored, you want to have your Super up. Until then, try to hold onto it. If you suspect that the enemy will directly go for the ball after that goal, throw out your Super and trap all three enemy brawlers if you can. In a pinch, you can also use your Super to disarm the ball from the enemy ball carrier. Don’t forget that your Super allows you to launch the Ball. You can also make the enemy do an animation cancel by passing them the ball. Need all 3 cards to hit for maximum DPS and to fill Super faster. Very punishable if Super is missed. Frank’s goal is to assert dominance and invoke fear. You run the field with a stone fist. Quite literally. It takes 3 successful attacks to charge your Super. If you get all enemy brawlers stunned in your Super, it’s back up again. Be mindful of the delay first before you go ham. I cannot stress enough: Aim where the enemy is going! You may want to save your Super to destroy obstacles. He fits into any team composition. At lower trophy levels, he is absolutely needed. Depending on the enemy team composition, you can literally walk the ball into the goal because you just tower over them. Let’s say both of your teammates are dead and are respawning. You respawned first, but your Super is up. The enemy is about to shoot into your goal. What do you do? Are you going to leap right where the enemy Bull is? NO! Because you are an intellectual, you are going to leap the shortest distance you can—which is right in front of your goal and save the game! Defensively speaking, keep your brawler between the goal and the enemy. If the enemy is charging at you, i.e. 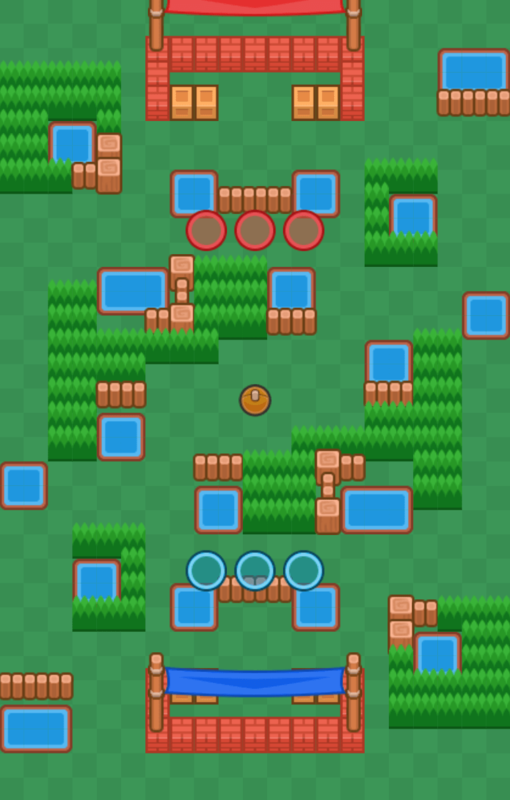 Bull or Primo super, and you are the ball carrier, shoot the ball away from your goal such that it creates the most distance for the enemy to retrieve it. Make them retreat so you can heal, reload, etc. If the situation is desperate, shoot into a pond. Don’t try that often, it can take a while and the flow of the whole game will revolve around waiting for the ball to come back into play. Think of the macro game while you do micro moves. These plays could be situational as well, consider the best move for that moment. Let’s briefly discuss one of the best but trickiest Brawl Ballers of them all: Darryl. Let’s face it, when you tried to play as him—his mechanics frustrated you. His damage (especially pre-update) discouraged you. And his Super? You weren’t sure what to do with it. But when you learned how to use him? You loved him. He’s the Underrated Underdog. Why? All you gotta do is Do A Barrel Roll! His Super can turn the game around at a click. The trick is to get the right angle. Is the enemy coming towards you? Make the angle more acute (smaller). Is the enemy going away from you? Increase the angle of the roll. Across from a pond but there are convenient crates that will save you time if you use those instead because you are too far for a straight roll? For Darryl, it’s interesting to note that the angle of incidence equals the angle of all subsequent rolls for the remainder of the Super. Sort of like how light works on flat surfaces as well. So, if there are two crates, you can roll off the first, onto the second, and land on the other side of the pond. Ta-da! 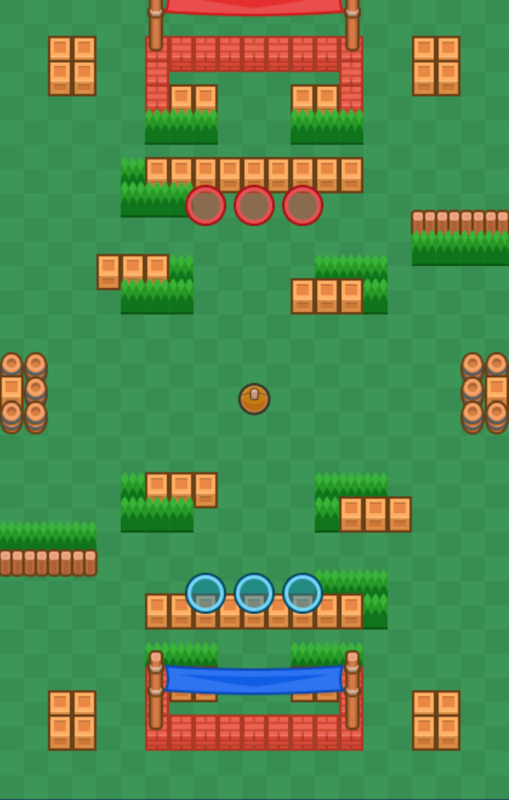 Recently highlighted on Social Media, an eSports player discovered this mechanic for Darryl: If the enemy is between you and the goal and you’re the Ball-carrier, shoot the Ball toward the goal (essentially to the farthest enemy), roll in that direction, and score! If I were able to add anything more, I would say that, since Darryl is an assassin, do note you are extremely effective at annihilating squishies (HP <=3500-4000) that are causing your team trouble. At Power level 6, that should be 2-3 autos at maximum damage (closest range for highest damage output, compensated for targets moving away).